Welcome to Stone Crossing Apartments. We have an optimized screen reader version of this site available. Weight limit of 50 pounds per dog. No Exotic pets of any kind. If you're looking for great apartment living, look no further than Stone Crossing Apartments located in the heart of Springfield, Ohio. 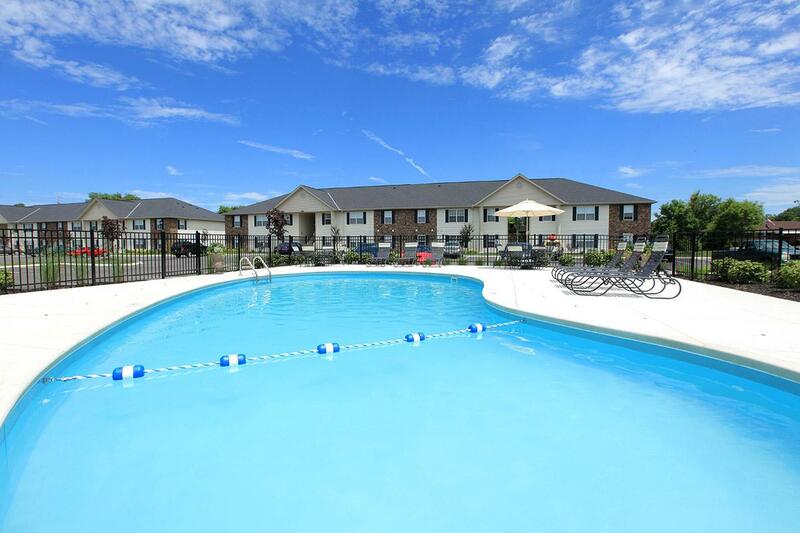 Stone Crossing Apartments is ideal for those seeking the ultimate in comfort and convenience. Our ideal Springfield location places you just minutes from the necessities of modern life. Local schools, fine dining, entertainment attractions and fabulous shopping. Our beautiful and spacious two bedrooms one and a half bath floor plan is the perfect choice for any lifestyle. Each of our charming apartments features an all electric kitchen, dishwasher, wall to wall carpeting, a spacious walk-in closet, and washers & dryers in every home. Stone Crossing Apartments brings you a fresh and new approach to apartment living. Our thoughtfully designed community and well-appointed amenities add to the benefit of living in these beautiful apartments. Once you become a resident, you will be able to enjoy our fabulous recreational opportunities including our pristine swimming pool or peaceful pond that is perfect for an evening stroll. Contact us today about our apartments in Springfield, Ohio and see everything that Stone Crossing Apartments has to offer!